In USDA hardiness zones 6 and below, consider buying plants for a longer bloom season. I recommend planting 5-6 together to achieve maximum butterfly attracting effect. 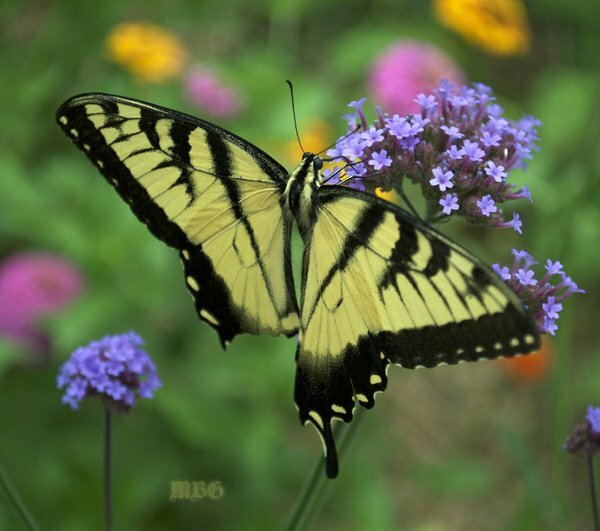 Click Here to find for more Butterfly Plants. Hi, I have just planted several verbena B in my Melbourne garden in a very sunny position. We know them here as “thrillers and fillers” and I’m loving the continual blooming, but I am encountering powdery mildew on the leaves. I’m wondering whether this is a result of over watering. I water every second day because we have had such a long hot summer. The plants are quite juvenile 40cm high. In California, I have a large plant f Verbena. It is going well. However, during it now has a white coat on the bottom part of the pant? How do I treat it? What do you mean by “commas”? I’ve got some Verbena bonariensis seeds and wondered when I could get them started indoors. I live in Vermont. Hi Steve, I’ve never started Verbena indoors before, but would probably try starting seeds 2-4 weeks before planting…from what I’ve seen outdoors, it grows quickly from seed. Verbena Bonariensis was very attractive to our Common Buckeye butterfly. The gathered seeds Winter Sowed very good in the milk jugs too. Your one tailed male seems to have escaped the Flycatcher. Verbena Bonariensisis: I am able to get locally the Buenos Aires which will grow 3′ tall, Meteor Showers 2′ tall and Lollipop 2′. Will any of these varieties work for the Moarchs or are there better choices out there? Hi Bill, we mistakenly purchased one of the dwarf varieties last year (I think it was lollipop) and all pollinators completely ignored it…I would plant the regular variety if you can find it. Is Buenos Aires considered one of the regular varieties at 3′ tall?If not do you know the common names of the ones that are. I did some research on the Verbena Bonariensisis Buenos Aires and the plant height itself is around 2’ and the flower heads will be 4’ tall. If I am not able to find any other varieties, that is the one I will be doing this year. Will let you know how it does. Thanks again for all your info on your site. Hi Terry, lilacs aren’t a favored monarch nectar source, but they’ll use it if other nectar sources aren’t available. Thanks so much for your wonderful website. We grow verbena bonariensis in central Florida, and the Queens and Zebra Longwings spend all day working it over, as do also the species you listed. 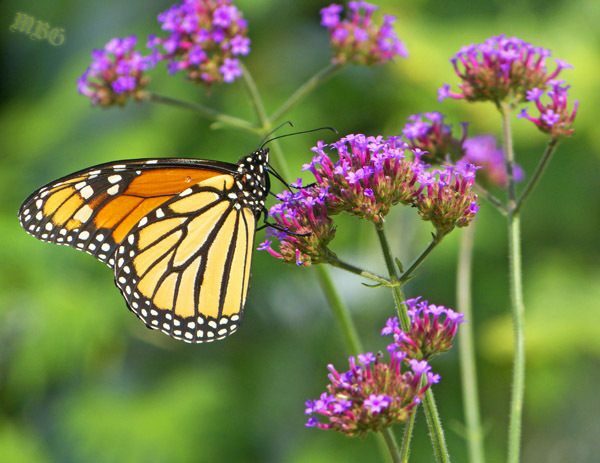 You’re right about growing for monarchs, and ending up with all kinds of butterflies. Just today, I counted 9 species in our garden. Hi Tony. 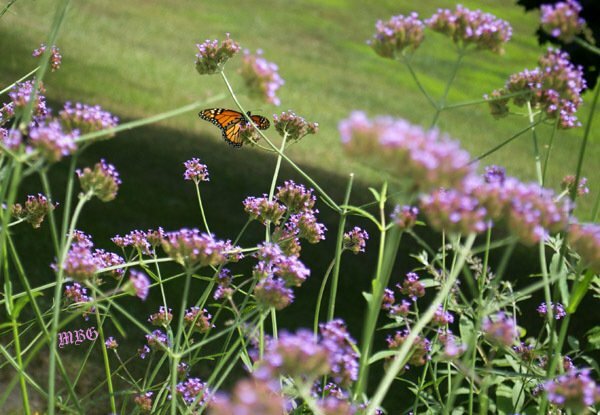 Have a question on the Verbena Bonariensis. I have some plants that grew last season that are still alive after some very cold weather. Would it be best to leave the tall stalks or cut them back. If I do cut them back, do I cut back to the base where the new growth is? Thank you so much for your help. Hi Jo Lynn, in Minnesota I have actually been able to grow some perennially and they grew back from the roots. Keep in mind OE spores could also be present on resused nectar plants, so I would cut them back to about 6″ and let fresh grow emerge for the returning butterflies. Hi Brian, I plant the see-through plant all over the garden because so many pollinators like it and it doesn’t crowd out other plants. I have leaf mulched it before and it did come back. However, if spring is cool it takes them too long to come back. We buy plants every season at a plant sale and having blooming verbena the entire season. We always have lots of volunteers come up later in the season…there’s still a lot of viable verbena seedlings out there now, and the bees and stray butterflies are still enjoying them. We typically get 12 plants…the most I put together is 4. I do it different every year. I like spreading them out. I’m sure they would love a patch of 6 together too. We live north of Detroit, so our winters are probably as cold as yours (maybe a little warmer). We grew verbena bonariensis for the first time this year and found it did best in a full sun location. 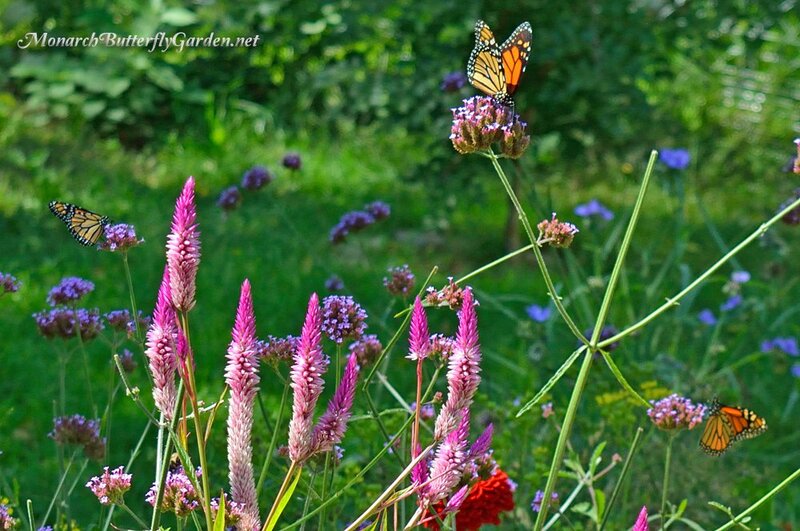 The monarchs and black swallowtails loved them. My question is, does the plant reseed well in your area, or do you end up buying new plants and just enjoy the volunteers as they pop up? If you do replant, how close should I space a six pack of verbena bonariensis to get the maximum effect? Since my v. bonariensis has a three-foot tall stalk (mine are three feet tall) and a short / small head of flowers, where should I cut / deadhead? At the ground level, at the flower level, somewhere in between? I planted six very healthy one-gallon plants (propagated by Grandiflora, in Gainesville, FL) last September and they began blooming profusely and beautifully in April — the “first nectar magnet” for butterflies in my garden. In early July their flowers became spent and I’m pleased to have found your blog / website. I will appreciate your help with this deadheading question. I live in Charleston, SC. verbena should be cut toward the top. From the spent flower, just go down to the first node below it where you see two leaves starting to grow. Cut right above this node. New flowers will develop from there. Hope this helps! Hi! I’m a newbie and wanted to know if this verbena can survive in a partial shady area that gets late afternoon sun. I know it was stated that for full height, it likes full sun. I’m not too concerned about the height, but wanted to know if it will flower less if it doesn’t get full sun. Thank you so much for your time! Hi Brenda, congrats on your new butterfly garden! I plant verbena (and it also reseeds) in different areas of the yard that receive varying amounts of light. It grows most vigorous in full sun, but it will do just fine in partial shade and still attract butterflies. Remember that you can also deadhead verbena to promote new flower growth.